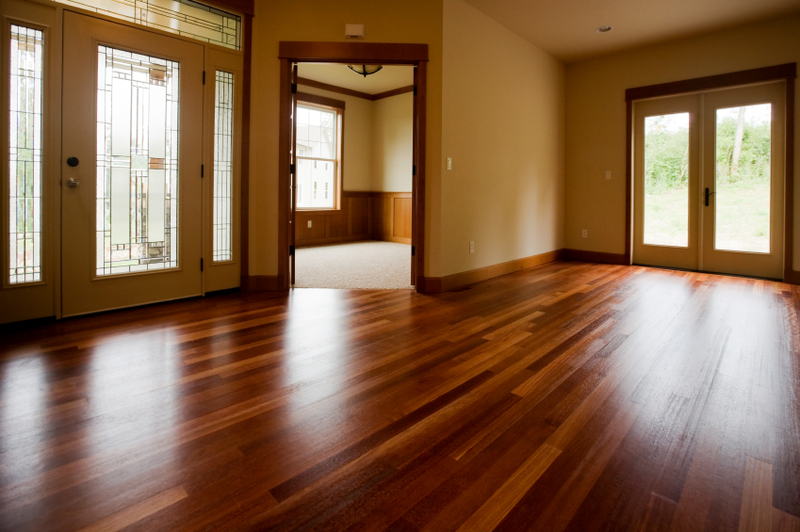 Before you shop, compare the pros, cons, care, and cost of 10 popular types of flooring. We at Americarpet want to make your floor buying experience easy and educated. Place walk-off mats at entries to catch dirt; frequently shake mats. Vacuum low-traffic areas at least once or twice a week. Vacuum high-traffic areas more often. Use a deep-cleaning hot water extraction cleaning system every 12-18 months. Regularly dust-mop the floor with a clean, nontreated mop or broom. Or use a vacuum cleaner without a beater bar. Damp-mop floors using cleaners recommended by the manufacturer. Avoid cleaners that are abrasive or contain vinegar, lemon juice, or harsh chemicals. Regularly sweep tile or use a vacuum without a beater bar. Regularly damp-mop the floor with a cleaner recommended by the tile and grout manufacturers. For more shine, rinse with clear water and wipe dry. Place protective pads on the bottoms of chair and table legs. Regularly sweep or dust-mop the floor, or use a vacuum cleaner without a beater bar. Remove scuffs and heel marks by lightly rubbing the spots with a soft, clean cloth sprayed with hardwood floor cleaner recommended by the flooring manufacturer. Never wax or use oil soap. Use only cleaners recommended by the flooring manufacturer. Clean up spills immediately. Damp-mop when needed using clean, warm water. Use only cleaners recommended by the flooring manufacturer. Clean up spills immediately. Damp-mop when needed using clean, warm water. Use only cleaners recommended by the flooring manufacturer. Polish periodically to bring back shine and protection against stains. Clean up spills immediately. Use only cleaners recommended by the flooring manufacturer. To restore luster, follow the manufacturer’s recommendations for refinishing.